Entering the entry level segment of the smartphone markets, HTC has launched a new smartphone equipped with the Beats Audio. 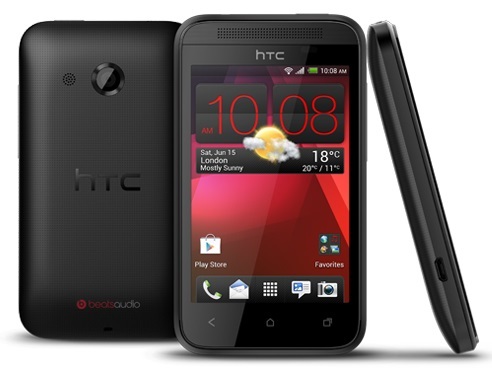 The HTC Desire 200 has 3.5 inch HVGA display. The entry level smartphone is powered by a 1 GHz Snapdragon S1 processor along with a mere 512 MB of RAM and 4 GB of internal memory. The device has a 5 MP rear camera, which can only take VGA video recording. The HTC Desire 200 runs on Android with a layer of the HTC Sense UI on top. The device comes in the Beats Audio branding, including on the in-ear headphones. While the pricing is not yet known, considering the specs, the device would be sold at affordable prices in economical markets.